Did you know that Yiddish is written in Hebrew letters but pronounced more like German? Introduce your kids to their mama loshen (mother tongue) and open the door to their cultural heritage! 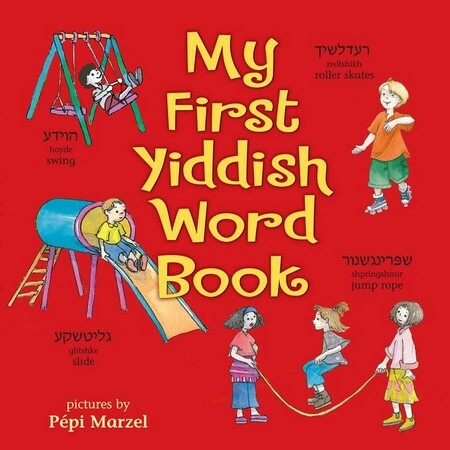 The basic Yiddish vocabulary includes more than 150 words for family members, objects in the home and school, colors and numbers. Each concept is presented with a bright picture, the Yiddish word, and the translation and transliteration. The once-thriving language, spoken by millions, is undergoing a revival, and kids will enjoy learning to speak the colorful tongue.